As a leading cannabis recruiting agency, M&F Talent has had the opportunity to watch the cannabis industry evolve and take shape. Times are changing. In decades past, for individuals operating a home-based cannabis cultivation operation, the prospect of including this experience on a resume and subsequent job search has been a fantasy, afterthought, or impossibility. Nevertheless, in 2018 marijuana growing is rapidly transforming from a secretive enterprise into a legitimate and respected profession. Evidence of this notion is apparent in both the United States and Canada. In both countries, cannabis companies are rapidly expanding their employee base, including marijuana growers. Most importantly, professional cannabis cultivators have become highly pursued assets in the contemporary business world. 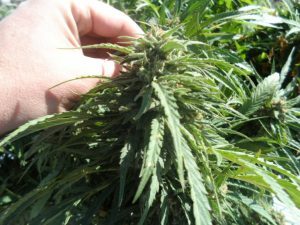 For those growers ready to make the transition into the legitimate cannabis industry, marijuana grower resumes will be required. In the crafting of resumes geared towards the legitimate cannabis industry, marijuana growers should utilize “competency-based resume writing techniques.” Competencies should be thought of as specific skills and behaviors that contribute to success in the workplace. Most importantly, competency-based resume writing includes skills and knowledge obtained through practical experience. Importantly, this experience extends beyond the duties one may have accomplished at their past jobs. Therefore, competencies translate the skill-sets of home-based marijuana growing into marketable assets on marijuana resumes. 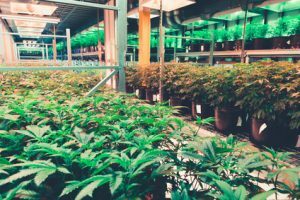 To elaborate, for marijuana growers, a familiarity with regulating climactic fluctuations in a greenhouse would be considered an occupational competency for cannabis jobs. Constructing an informative marijuana growing resume will be a different process than building traditional resumes. It is important to remember that cannabis presents a novel job market. As such, a majority of candidates do not have formal, commercial cannabis cultivation work experience. As a result, most companies will be most attracted to candidates who explain their marijuana growing knowledge effectively. Marijuana growers want to be as specific as possible in their resumes to highlight applicable skill-sets for any given position. Because, potential employers are most interested in specific actions that candidates have taken in the past which are applicable to future occupations. For example, if an experienced greenhouse cultivator is interested in acquiring a head-grower position in a commercial greenhouse setting, in-depth knowledge concerning pest control is an essential competency. To elaborate, pest control in a cannabis garden involves the foresight to avoid potential problems in the operation with sanitation. Also, it involves the ability to effectively solve issues as they arise with effective spraying. To express how specific actions are used to solve problems in the workplace, descriptions of abilities on a resume will always begin with verbs. To illustrate, the phrases “Advanced a deep appreciation for sterilization in a greenhouse environment” as well as “Eradicated or avoided harmful pests, mildews, and molds with organic sprays” market the pest management competency well. More specifically, it accomplishes this by highlighting competencies through specific actions. Finally, a resume is the beginning of a relationship with an employer. Therefore, maintaining honesty and integrity with this document will lay the cornerstone of a successful career. 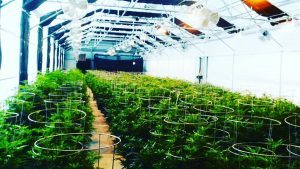 This competency exhibits a cannabis grower’s specific knowledge with the actual cultivation process. The phrase “Gained intimate understanding of a variety of cannabis genetics and phenotype: NY Diesel, Gorilla Glue #4, Tahoe Kush, Blue Dream, Chem Dog, Cherry Pie” depicts this competency nicely. The job market in the cannabis industry is competitive and college degrees of any form will definitely help candidates stand out in a prospect pool. Therefore, when marketing education experience on a resume, again look to skill-sets in deciding what elements of one’s education are applicable in obtaining a specific position. For example, the phrase “Practiced using Word, Excel, PowerPoint, and MS Office” shows that a candidate is fluent in modern computer technology, an asset necessary in almost any professional capacity today. Finally, if one’s “real-world” professional history has nothing to do with the cannabis industry, they can again utilize the competency-based model to isolate transferable skill-sets. Conclusively, this concept requires some creativity but can be rewarding. For more information on marijuana resumes, please check out our Cannabis Resume Writing Service. This article was originally posted in the February / March 2017 edition of HydroLife Magazine.